^ Payne, Stanley G. A History of Spain and Portugal (Print Edition). 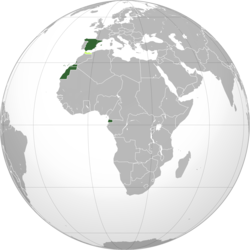 University of Wisconsin Press (Library of Iberian resources online). 1973,. 2, Ch. 25: 632 [30 May 2007]. ^ Payne, Stanley G. A History of Spain and Portugal (Print Edition). University of Wisconsin Press (Library of Iberian resources online). 1973,. 2, Ch. 26: 646–47 [15 May 2007]. ^ 22.0 22.1 帝国战争博物馆. The Spanish Civil War exhibition: Mainline text (PDF). 2002 [27 April 2013]. （原始内容 (PDF)存档于2013-12-11）. ^ The number of casualties is disputed; estimates generally suggest that between 500,000 and 1 million people were killed. Over the years, historians kept lowering the death figures and modern research concludes that 500,000 deaths is the correct figure. Thomas Barria-Norton, The Spanish Civil War (2001), pp. xviii & 899–901, inclusive. ^ Beevor, Antony (2006). The Battle for Spain: the Spanish Civil War, 1936-1939. New York: Penguin Books. p. 423. ISBN 0-14-303765-X. ^ Yossi Shain (ed). Governments-in-Exile in Contemporary World Politics. New York: Routledge. 1991. p. 152. ^ Martin Ebon. World Communism Today. New York: Whittlesey House. 1948. p. 252. Beevor, Antony. The Battle for Spain: The Spanish Civil War 1936–1939. New York: Penguin Books. 2006. Casanova, Julián. The Spanish Republic and Civil War. Cambridge, UK: Cambridge University Press. 2010. ISBN 0-521-49388-9.